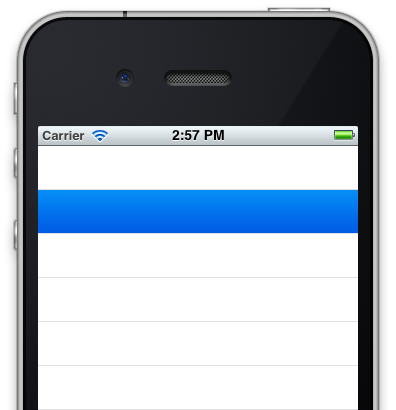 This is a post by iOS Tutorial Team member Matthijs Hollemans, an experienced iOS developer and designer. You can find him on Google+ and Twitter. Learn how to debug and fix dreaded app crashes! Welcome back to the debugging tutorial! 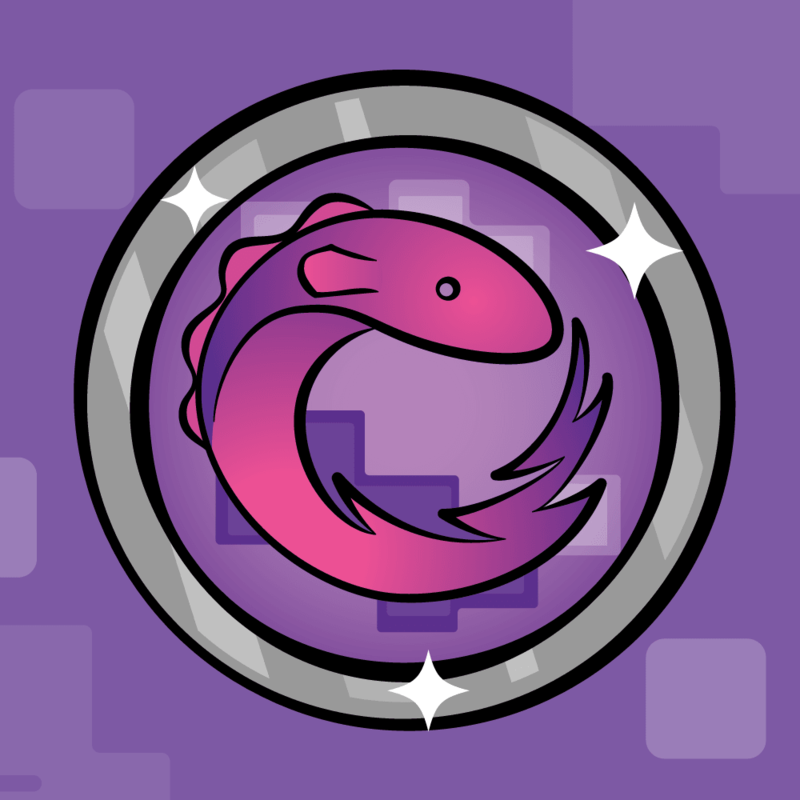 The first part of the tutorial introduced SIGABRT and EXC_BAD_ACCESS errors, and illustrated some strategies for resolving them using the Xcode debugger and Exception Breakpoints. But our app’s still got some problems! It doesn’t work exactly as it should, and there are plenty of crashes still lurking. Fortunately, there are still more techniques you can learn to handle these problems that we’ll cover in this second and final part of this tutorial series. So without further ado, let’s get right back to fixing this buggy app! When you expect something to happen but it doesn’t, there are a few techniques you can use to troubleshoot. This tutorial will first look at using NSLog() to handle this. 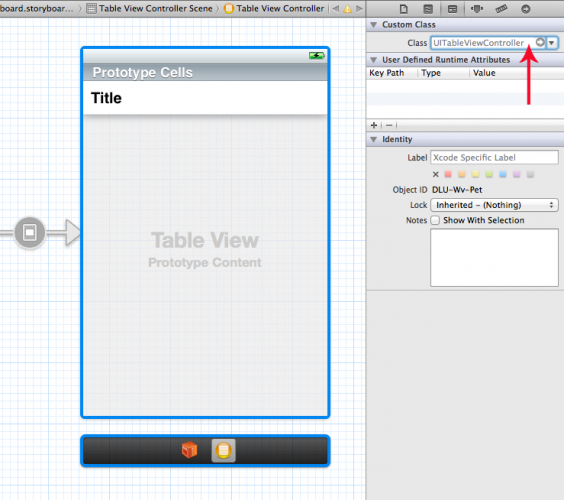 The class for the table view controller is ListViewController. 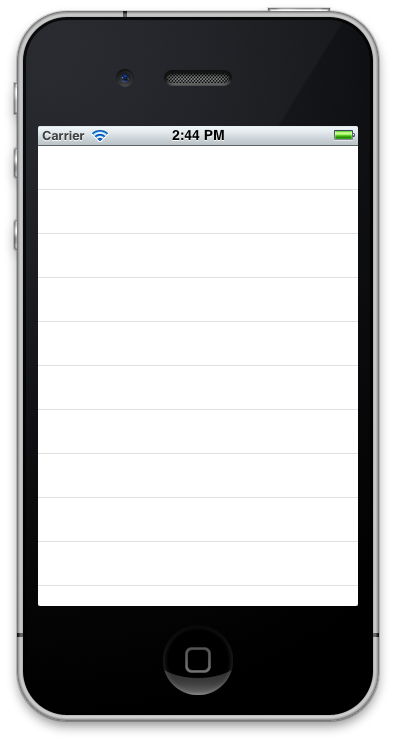 After the segue is performed, the app should load the ListViewController and show its view on the screen. You can test that assumption by making sure that the view controller’s methods are actually called. viewDidLoad seems like a good place for that. When you run the app, you should expect to see the text “viewDidLoad is called” in the Debug Pane after you press the Tap Me! button. Try it out. Not surprisingly, nothing appears in the Debug Pane. That means the ListViewController class isn’t used at all! This usually means that you probably forgot to tell the storyboard that you want to use the ListViewController class for that table view controller scene. The app will also crash again, but that’s a new problem. Note: Whenever your code doesn’t appear to do anything, place a few NSLog() statements in strategic places, to see whether certain methods are actually being called and which path the CPU takes through these methods. Use NSLog() to test your assumptions about what the code does. The method above takes an NSString object as its parameter, but the code doesn’t allow callers to pass in nil or a string that has fewer than three characters. If either of these conditions is not met, the app will abort with an exception. You use assertions as a defensive programming technique, so that you’re always sure the code behaves as expected. Assertions are usually enabled only in debug builds, so they have no runtime impact on the final app that is distributed on the App Store. 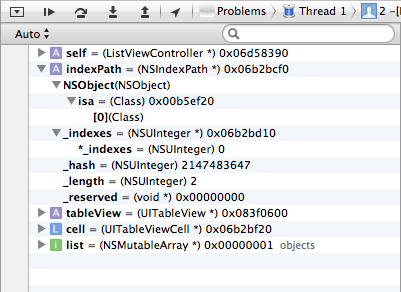 In this case, something triggered an assertion failure on UITableView, but you’re not entirely sure where yet. The app has paused on main.m and the call stack contains only framework methods. From the names of these methods, you can guess that this error has something to do with redrawing the table view – for example, I see methods named layoutSubviews and _updateVisibleCellsNow:. You may have to do this twice. The “c” command is short for continue and does the exact same thing as the Continue Program Execution button. You added an NSLog() statement. Run the app again to see what it says. 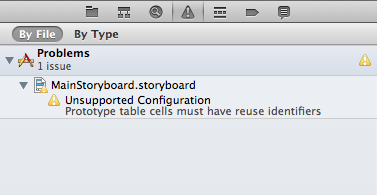 OK, so that means the call to dequeueReusableCellWithIdentifier: returned nil, something that only happens when the cell with the identifier “Cell” could not be found (because the app uses a storyboard with prototype cells). Ah ha! A lightbulb goes off in your head. This was never going to work, because somebody forgot to actually allocate the array object in the first place. The “list” ivar was always nil, so calling addObject: and objectAtIndex: never had any effect at all. This sort of thing can be quite frustrating, but keep in mind that you’ll eventually get to the bottom of this if you have verified all the assumptions you’ve been making. So the question to ask right now is, does initWithStyle: actually get called? You could put another NSLog() statement in the code, but there is another tool you can use as well: breakpoints. You’ve already seen the Exception Breakpoint, which pauses the app whenever an exception is thrown. You can also add other breakpoints, to virtually any place in your code. 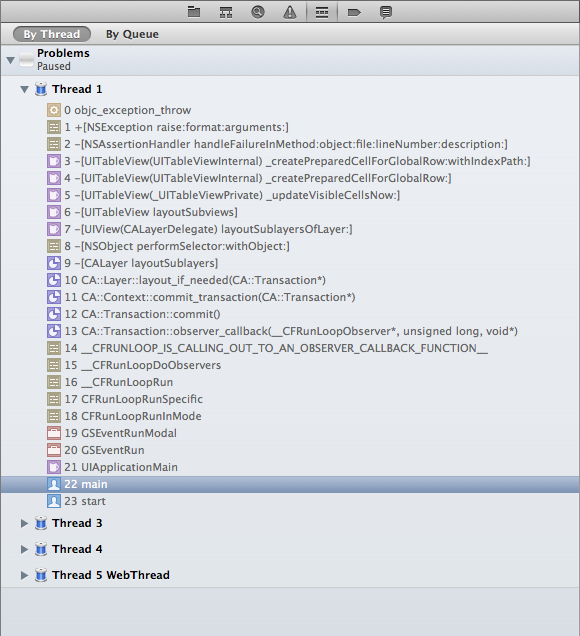 As soon as the program hits that spot, the breakpoint is triggered and the app jumps into the debugger. Run the app again. If initWithStyle: is indeed called, then the app should pause and jump into the debugger after you tap the “Tap Me!” button, when the ListViewController is loaded. As you may have expected, no such thing happens. initWithStyle: is never called. That makes sense, of course, because the view controller is loaded from the storyboard (or a nib), in which case initWithCoder: is used instead. To continue running the app from where you left off, simply tap the Continue Program Execution button or type “c” in the Debug Console. Of course, that doesn’t go as expected and the app crashes again. I told you it was a bit buggy! Note: Before you continue, it’s a good idea to remove or disable the breakpoint on initWithCoder:. It has served its purpose, so now it can go away. You can do this by right-clicking the breakpoint in the gutter (the area in the text editor with the line numbers) and choosing Delete Breakpoint from the pop-up menu. 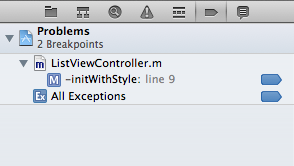 You can also drag the breakpoint out of the window, or you can remove it from the Breakpoint Navigator. If you don’t want to remove the breakpoint just yet, you can simply disable it. To do that, you can either use the right-click menu or you can click once on the breakpoint – if the breakpoint indicator turns to a lighter shade of blue, it’s disabled. But there’s another common bug in the initWithCoder: method. Can you find it? That it’s an EXC_BAD_ACCESS crash means there’s a bug in your memory management. Unlike a SIGABRT, you won’t get a nice error message with such crashes. However, there is a debugging tool you can use that might shed some light on what’s going on here: Zombies! Here’s what the Zombie Enabled tool does, in a nutshell: whenever you create a new object (by sending it an “alloc” message), a chunk of memory is reserved to hold that object’s instance variables. When the object is released and its retain count hits zero, that memory gets deallocated so other objects can use it in the future. So far, so good. However, it’s possible that you still have pointers that point at that now-defunct chunk of memory, under the assumption there’s still a valid object there. If some part of your program tries to use that stale pointer, the app will crash with an EXC_BAD_ACCESS error. When the Zombie tool is enabled, the memory for objects does not get deallocated when the object is released. Instead, that memory gets marked as being “undead.” If you try to access that memory again later, the app can recognize your mistake and it will abort with the “message sent to deallocated instance” error. The class of the undead object is __NSArrayM. 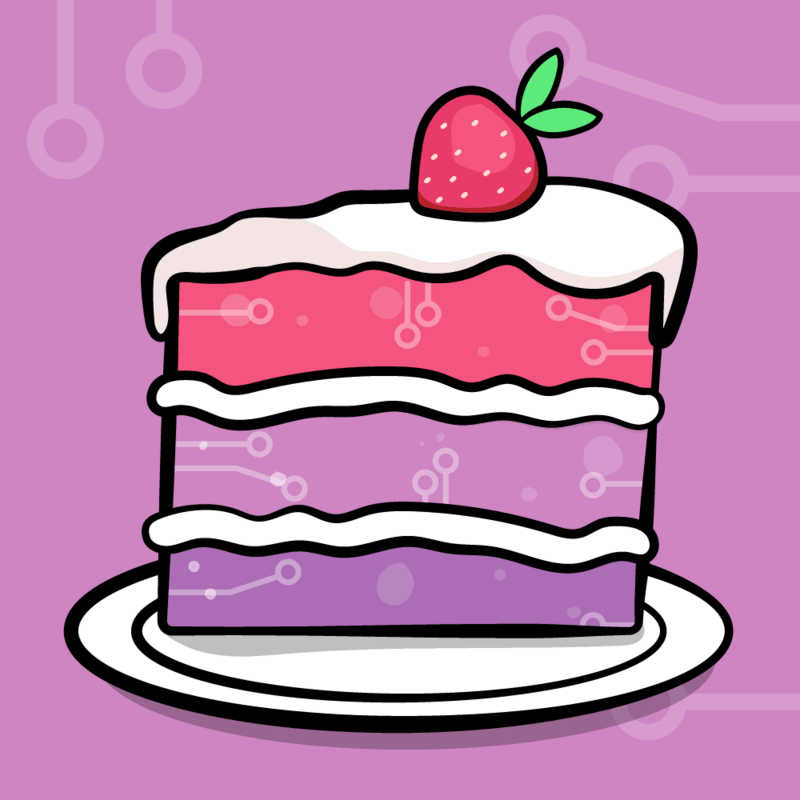 If you’ve been programming with Cocoa for a while, you know that some of the Foundation classes such as NSString and NSArray are actually “class clusters,” meaning that the original class – NSString or NSArray – gets replaced by a special internal class. So here you’re probably looking at some NSArray-type object, which is exactly what “list” is (an NSMutableArray). This should print the same memory address as in the error message (in this case 0x6d84980, but when you try it the address will be different). You should also be able to use the “p” command from the debugger to print out the address of the “list” variable (as opposed to the “po” command, which prints out the actual object, not its address). This saves you from the extra steps of having to add in the NSLog() statement and recompiling the app. 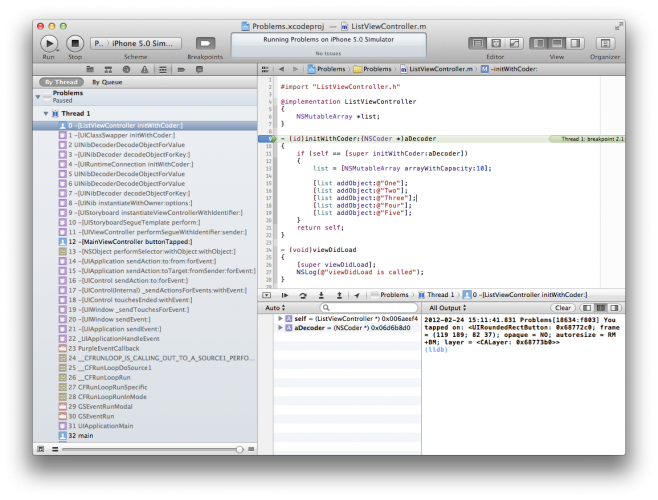 Note: Unfortunately, this doesn’t appear to work properly for me with Xcode 4.3. For some reason, the address always shows up as 0x00000001, probably because of the class cluster. With the GDB debugger, however, this works fine, and the variables pane in the debugger even points out that “list” is the zombie. So I’m assuming this is a bug in LLDB. Note: Even though such memory management-related errors are largely a thing of the past with ARC, you can still make your code crash on EXC_BAD_ACCESS errors, especially if you’re using unsafe_unretained properties and ivars. My tip: Whenever you get an EXC_BAD_ACCESS error, enable Zombie Objects and try again. Note that you shouldn’t leave Zombie Objects enabled all the time. Because this tool never deallocates memory, but simply marks it as being undead, you end up leaking all over the place and will run out of free memory at some point. 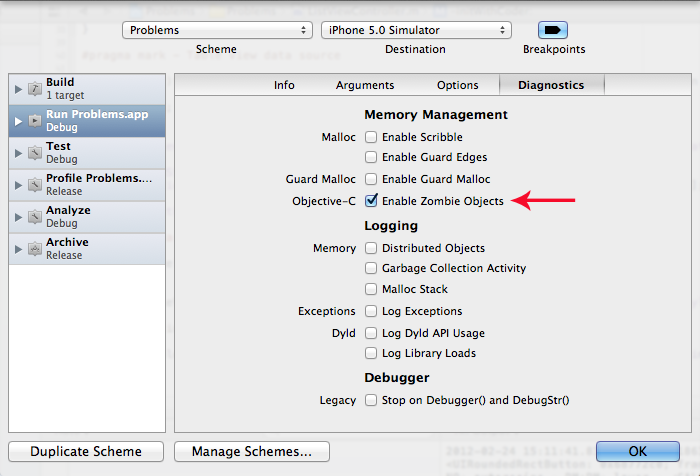 So only enable Zombie Objects to diagnose a memory-related error, and then disable it again. Run the app again and tap the button. 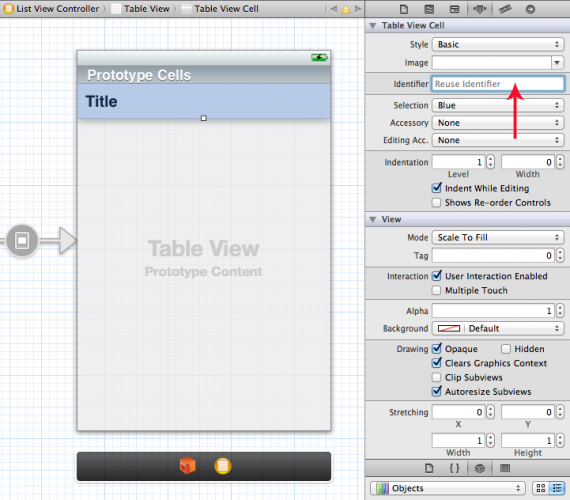 You will now jump into the debugger the very first time tableView:cellForRowAtIndexPath: is called. Note that at this point the app hasn’t crashed yet, it’s just paused. You want to figure out exactly when the app does crash. Press the Continue Program Execution button or type “c” behind the (lldb) prompt. This will resume the program from where you stopped it. That means tableView:cellForRowAtIndexPath: did execute once without any problems, because that NSLog() statement happened after the breakpoint. So the app was able to create the first cell just fine. The important part is [0, 1]. This NSIndexPath object is apparently for section 0, row 1. In other words, the table view is now asking for the second row. From this, we can conclude that the app has no problems creating the cell for the first row, as the crash didn’t happen there. The section index is still 0, but the row index is 5. Notice that the error message also says “index 5.” Because the counting starts at 0, index 5 actually means the sixth row. But there are only five items in the data model! Apparently the table view thinks there are more rows than there actually are. Delete or disable the breakpoint and run the app again. Finally, the table view shows up and there are no more crashes! Note: The “po” command is very useful for inspecting your objects. You can use it whenever your program is paused in the debugger, either after hitting a breakpoint or after it has crashed. You do need to make sure that the correct method is highlighted in the call stack, otherwise the debugger won’t be able to find the variable. Did I say no more crashes? Well, almost… Try a swipe-to-delete. 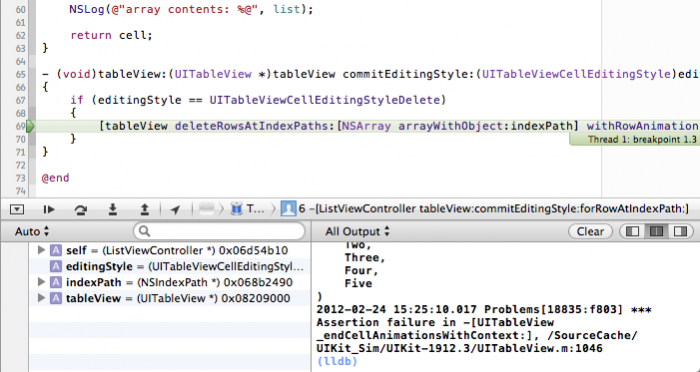 The app now terminates on tableView:commitEditingStyle:forRowAtIndexPath:. *** First throw call stack: . . . If your app crashes, the first thing is to figure out exactly where it crashed and why. Once you know these two things, fixing the crash is often easy. The debugger can help you with this, but you need to understand how to make it work for you. Some crashes appear to happen randomly, and these are the tough ones, especially when you’re working with multiple threads. Most of the time, however, you can find a consistent way to make your app crash every time you try it. If you can figure out how to reproduce the crash with a minimal number of steps, then you’ll also have a good way to verify that the bug was fixed (i.e. it won’t happen again). But if you cannot reliably reproduce the error, then you can never be certain that your changes have made it go away. If the app crashes on main.m, then set the Exception Breakpoint. With the Exception Breakpoint enabled, you may no longer get a useful error message. In that case, either resume the app until you do, or type the “po $eax” command after the debug prompt. 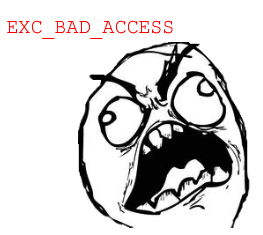 If you get an EXC_BAD_ACCESS, enable Zombie Objects and try again. The most common reason for crashes and other bugs are missing or bad connections in your nibs or storyboards. 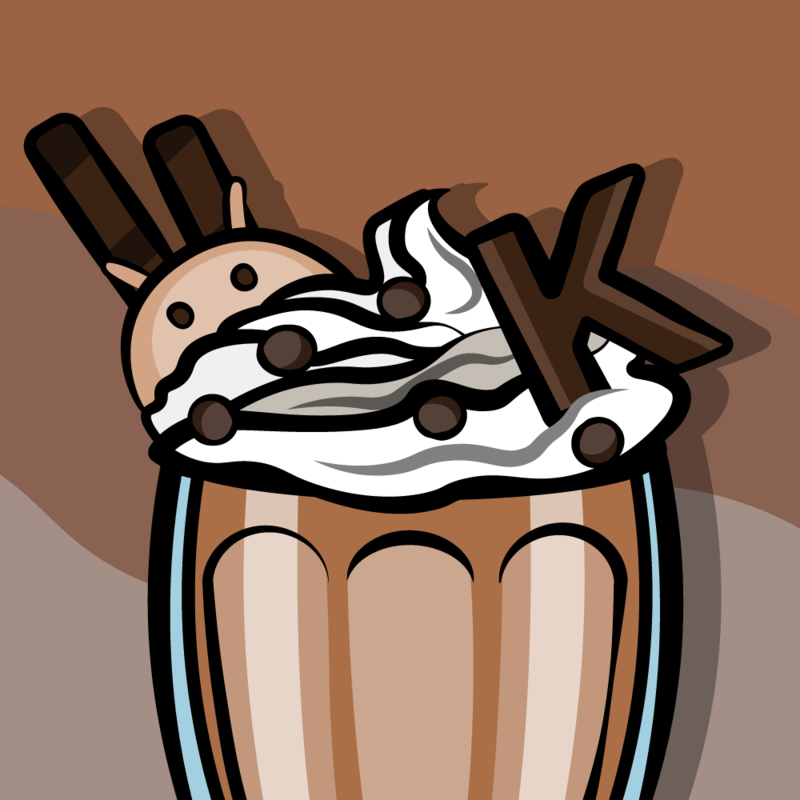 These usually don’t result in compiler errors and may therefore be hidden from sight. Don’t ignore compiler warnings. If you have them, they’re often the reason why things go wrong. If you don’t understand why you get a certain compiler warning, then figure that out first. These are life savers! Debugging on the device can be slightly different from debugging on the simulator. These two environments are not exactly the same and you’ll get different results. For example, when I ran the Problems app on my iPhone 4, the very first crash happened in the NSArray initialization because of the missing nil sentinel, and not because the app was calling setList: on the wrong view controller. That said, the same principles apply for finding the root causes of your crashes.